Dozier was born on the 17th of February of 1885 in Galviants ferry in Horry County. While growing up, Dozier was quite enthusiastic about joining the army, and as a result he served in many of America’s famous battles, from the American Revolution to the Spanish American War. His first began his military journey on the third of September in 1904. 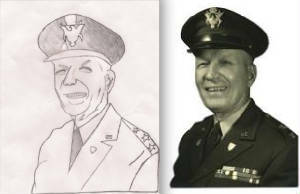 He served with Company H, 118th infantry regiment. His work ethic quickly rose up the ranks, for when he returned to South Carolina from El Paso, TX he was officially made a 2nd lieutenant. 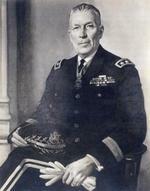 During his time at El Paso, Dozier’s unit helped protect the U.S. from the assault of Mexican general Pancho Villa. When he returned he was immediately deployed to the war that had plague our nation at the time, World War I. He again showed his dedication in protecting his country and this dedication landed him the position of Lieutenant 1 in November of 1917, merely 4 months after being commissioned to 2nd lieutenant. World War I is where Dozier became a hero. His unit was the first to go and fight against the Germans. For the next moth his unit advanced much into German territory while firing many shots. However, on October 8 the war changed drastically. It was at 5 a.m. when Company G was order to make a surprise attack. However, just a mile up their mount their commander was wounded and being a leader, Dozier stepped in. He used his quick wit and tactical skills to locate the source of trouble and in response signaled his company to lie down and search for as much concealment as possible. As he continued to lead, he ordered a machine gun crew to fire just over the heads of the German gunners so they couldn’t look over the top of the pit in which they were concealed. Finally, after two and a half hours later, Dozier was able to complete the Company G’s objective, as well as bring back 470 prisoners. For Dozier the war was over, he spent the rest of the time recuperating in a hospital. He was a brave man indeed; although he had been shot by a sniped earlier during the battle he did not make that an excuse to not lead the troops. His strong will and eagerness to protect his country overshadowed the pain he may have felt from wounds. As for his outstanding leadership and service he was awarded the Congressional Medal of Honor. After returning home, he was also wed to Miss Lula Little in Laurens. After the World War I, Dozier served as S.C. TAG for the next 33 years. He took over Camp Jackson and made sure that it was preserved and continued to be a strong base to house soldier training. Over many years he was able to acquire money from WPA and other sources to refine Camp Jackson, making it a more suitable location for preparing young men for combat. As a new World War blew wind, the National Guard was sent in to fight. Dozier then established the South Carolina Defense Force (SCDF) to protect South Carolina while national guards were gone. After the War subsided with the United States Victory, Dozier lived on for many more years and then died on October 24th 1974. Dozier was a miraculous man and gave much to our nation, his heroism will be missed dearly. 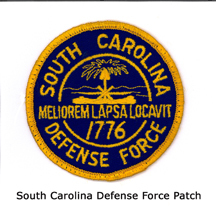 What was South Carolina Defense Force (SCDF)? And why did Dozier form it? It always seemed as if The United States understood that they would be drawn into World War II, and they also knew that if that were to happen, the national guards would be called upon leaving the states defenseless. 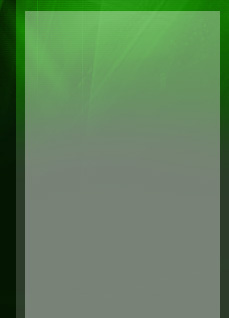 In order to handle the situation they created the 21st amendment on June 3 of 1940. This amendment simply meant that the states would be protected in any scenario in which the national guards were ordered to fight overseas. Following the Japanese attack on Pearl Harbor on December 7, 1941, all 3,671 Guardsmen were activated for World War II. Furthermore, in order to ensure important logistical installations throughout the state continued to be protected, James C. Dozier formed the SCDF on March 21st in 1941. The SCDF was essentially one of many defensive force organizations that were created in order to protect the states in the absence of national guards. However, during World War II, the SCDF’s mission was to defend against invasion along the South Carolina coast and assist local officials in providing internal security. Additionally, many people feared that the Germans may try to land forces by submarine and that’s why they were given the job of holding them off until the troops could be brought in from Fort Jackson. More than anything, this was used as a precaution, in order to protect thousands of lives, if there would ever be an attack when national guards are not present.